Dr. Tamara Keeley is a zoologist and Postdoctoral Research Fellow with the University of Queensland, specialising in Endocrinology, Reproductive Biology and Wildlife Conservation. Through her work with wildlife she has acquired extensive experience and knowledge of animal husbandry, reproductive management and technology, animal behaviour and welfare and wildlife conservation programs. She specialises in non-invasive hormone analysis techniques (eg. urine and feces) to improve captive animal management and breeding and to elucidate the basic reproductive biology of a wide range of exotic and Australian species including the Tasmanian devil, Vancouver Island marmot and dugong. 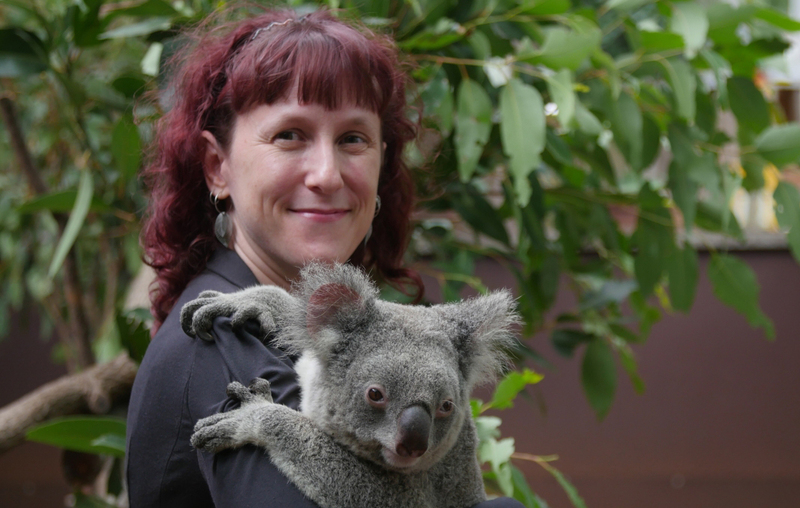 Tamara's current research involves using artificial insemination in the koala, in combination with in-depth analyses of wild and captive koala population genetics to develop a 'Living Koala Genome Bank'. This bank will provide practical mechanisms to improve and manage the genetic diversity and breeding of captive and wild koala populations. Tamara co-supervises a number of student projects including the evaluation of reproduction and health in humpback whales and using faecal hormones to characterise the reproductive biology of the Lumholtz's tree kangaroo.